cdcindonesia.com - In the morning, all the job seekers, the following information about job vacancies from one of the chemical companies in Indonesia, namely:PT Unilever Oleochemical Indonesia - PT UOI is a reputable foreign investment company in Indonesia that is involved in the field of oleochemical industry. Oleochemical are chemicals derived from animal and plant fats. Its commonly used in consumer good products, such as soaps and detergents. PT Unilever Oleochemical Indonesia operates primarily as a producer of oleochemical products which commonly used in consumer good products, such as soaps and detergents. 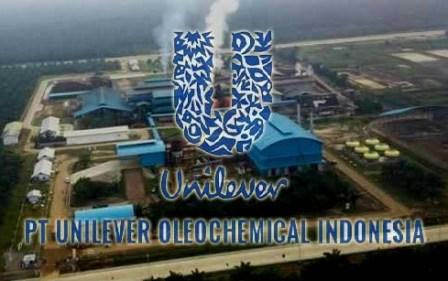 PT Unilever Oleochemical Indonesia is based in Sei Mangkei and its oleochemical plant is located at Sei Mangkei Special Economic Zone Simalungung, North Sumatera Province. Minimum graduate with Bachelor of Accounting. Graduate in 2018 with minimum GPA of 3.20 out of 4.00. Fluent in English both verbal and written (TOEFL 450 or more). Active participation in extracurricular and social activities. Proactive and possesses strong will to make things happen. All applications are appreciated and will be treated confidentially.Only qualified, short-listed applicants will be followed up.